The rocker is low in the tail for speed and slightly flipped in the last 8 inches of the nose to allow vertical maneuvers in the pocket. Full with tucked hard edges for stability and holding speed in small surf. Single to double concave with a slight V for a blend of speed, control, and release off the top. Ankle to shoulder high. Weak to slightly punchy. ​Ride the WD3 in the same dims as the original WD to target even smaller waves with a similar feel. Pairing up a WD3 as a groveler with a WD2 or similar board ride it 1” shorter. 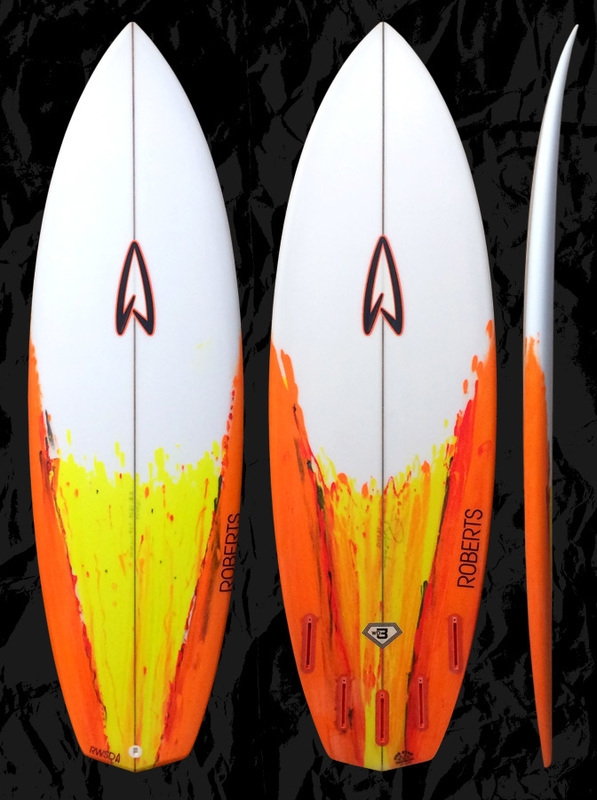 Comparing to a pro model shortboard go 5-6 inches shorter, 1” wider and in the same thickness for a performance groveler. Custom dims are always available to match your needs or preferences. Please feel free to use our CONTACT US form on this website under Custom Surfboard for more info about our boards and sizing.